Manchester United’s hunt for a leader in the heart of their defense took an interesting turn in the past few days, when Leicester City’s Harry Maguire emerged as a possible target for the Red Devils. 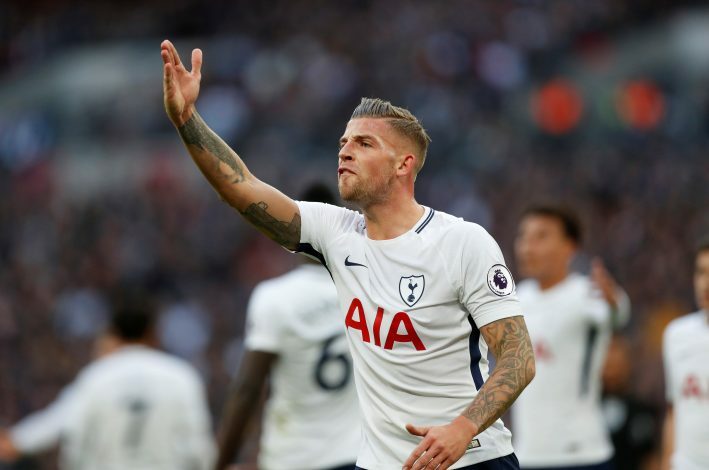 Till then, Tottenham’s Toby Alderweireld had been their definitive target this window, with the London club’s stubbornness the only thing standing in between his potential arrival. Right off the back, at 25 years of age, the Englishman seems like a no-brainer for Mourinho and company to invest in. Not only will he be a long-term asset by virtue of his age, his untapped potential will also be a tremendous factor in favor. At the same time, some risk could also be present, as players tend to deviate as they age. In contrast, 29-year-old Alderweireld is at his absolute peak, and is a signing whose effectiveness United won’t have to worry about. Then again, akin to the case of Alexis Sanchez, 29 is a mere season or two away from withering from peak performance, and some fans have already been grumbling about the club’s choice of investing in aging players. While goals scored aren’t generally a stat that is of consequence when it comes to centre-backs, here some surprises may exist. Maguire managed to find 3 goals and 5 assists last season, in contrast to the Belgian, who scored none and aided the creation of one. This extra edge could be valued highly by United. Further, the Englishman’s aerial ability was also on show during the World Cup, as he won more aerial duels (33) than any other defender in Russia. Maguire also possesses a superior clearance per game ratio (4.3) and a better success rate with regard to interceptions. On a career best, the tackling success ratio of the duo is almost identical. Both are firm defenders, although each will aid a different aspect of United’s play. Apart from their concentration at the back, the extra element that they’ll bring to Old Trafford is of importance. It goes without saying that the Belgian has a more superior ball-playing style, and this tendency could make him an all-round wise pick for United to consider. Through him, an extra element of danger can be created. In Maguire, a typical slab-head can be seen due to his aerial presence. In a side that loves to acquire set-pieces, this is of vital importance. Moreover, the aerial superiority of Maguire, as noted in his late goal against United last season, is a set-piece advantage that is frankly the Belgian’s biggest weakness. Who Is A Better Tactical Option? The main question that Mourinho will have to address is which of these two best meets United’s desire for an apt leader in the heart of their defense. Tactically speaking, Maguire will complement United’s existing style the most, and will bring balance to back-line when paired alongside Bailly. The Ivory Coast international is a more aggressive defender, and the calmness of the Foxes’ centre-back is something that the Reds can heavily benefit through. In Alderweireld, United will receive a firm passer who is eager to create conduit play through his tendency for long-balls. 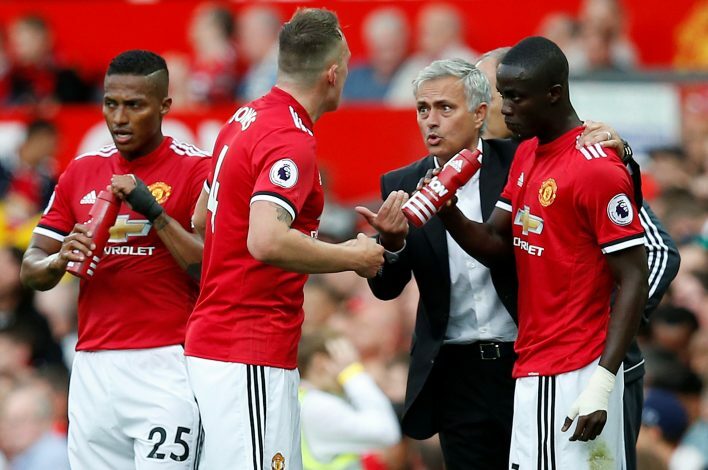 Further, his style is one that Mourinho is a fan of, but may require some changes in the team’s setup, and may not necessarily work great with the existing options straight away. The breaking point that may end up being the key decider between the two. 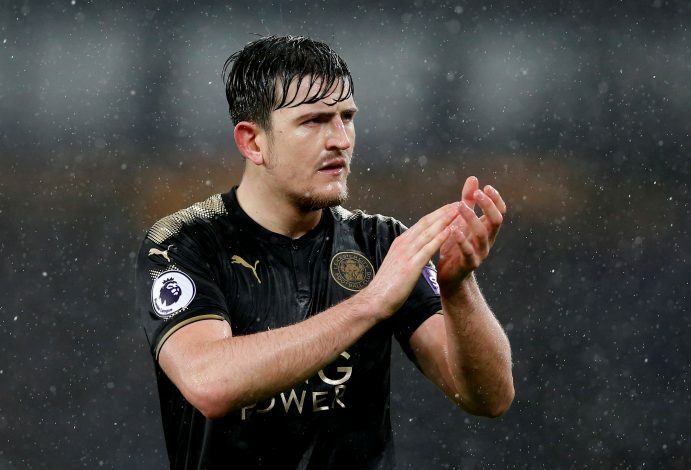 Although United initially thought that they could acquire Maguire for as cheap as £50 million, reports stating that their latest bid of £65 million has been rejected by firm-headed Leicester is an almost assured note that he won’t come for this cheap. However, for his age, a sizable investment can be justified. In the end, the Foxes may still decide to not sell at all. In view of that, the unattainable Belgian may have some virtue in his favor after all, merely due to how long this saga has been going for. By now, Levy must have come to terms with the reality that selling him for a reported £55 million could be their best bet as his price will go down next season. Add to this mix the potential that Martial could be swapped with the centre-back, and one has a decent argument to make in favor of a deal that is more likely to occur. Which of the two will secure Old Trafford next season, if any?